The Who’s debut was first released in England in the year 1965. 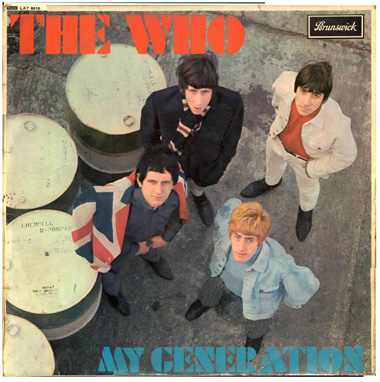 It was released States-side in 1966, boasting a different name (“The Who Sings My Generation”) and with some variations – a song called “Circles” replaced “I’m A Man”, and one of the standout tunes (“The Kids Are Alright”) was unceremoniously abridged. 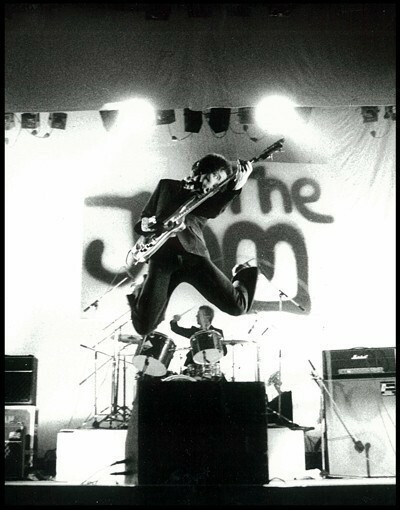 The Who’s intended debut was going to be a whole disc devoted to R & B covers, but when one of the main musical papers of the day said such an approach would be unoriginal the project was shelved and this album of Townshend-penned compositions eventually materialized. As it was customary then, only one of the three contemporary singles was included, and it has stood the test of time until today. I’m talking ‘bout my g-g-g-eneration, of course. But we should not forget the album also includes the definitive mod anthem “The Kids Are Alright”. It is interesting to note that both songs were recorded the very same day. Elsewhere, some primitive compositions like “Out In The Street” are interspersed with minor gems such as “It’s Not True” (with Moon providing a conventional backbeat for once) and the much-hyped instrumental “The Ox” (credited to Pete, John, Keith and Nicky Hopkins). Three R & B songs did find its way into the final cut. They are easily the weakest links, and the one which is actually enjoyable (“I’m A Man”) is not part of the American release. The song might work well in the context of the album as it explores the line separating adolescence from manhood, Pete’s recurrent theme par excellence. But these R & B selections do lower the tone considerably, especially when one bears in mind how popular The Who were as a live R & B act. That was sadly not even remotely reflected on these cuts. This album has the distinction of having been produced by Shel Talmy (a “real” producer) and not someone like an ideas man such as manager Kit Lambert, who would be at the helm for a while afterwards. Love him or loathe him (probably the latter), Talmy gave them a polished yet rauchy sound. He also brought piano maverick Nicky Hopkins along for the sessions, and that connection was the best thing he ever did for The Who. Personally, I have never been a big fan of this album. It has an incredible historical value in itself, and more than a fair share of songs signal that a force to be reckoned with is consolidating for good. But I don’t spin it that often, even if I reckon it is vastly superior to the two albums that would follow (“A Quick One” and “The Who Sell Out”). Still, I am giving it a high rating owing to the influence it has exerted (and that will no doubt exert) over musicians far and wide.